Nestled on the beach, this Willoughby guesthouse is 5.7 mi (9.2 km) from Antechamber Bay Beach and 6.9 mi (11.1 km) from Lashmar Conservation Park. Surrounded by shimmering oceans, white sands and untamed bushland, Kangaroo Island is regarded as one of Australia’s most beautiful places to visit. Spend your next holiday here with our Kangaroo Island accommodation. Once part of the South Australian mainland, Kangaroo Island became an island due to rising sea levels. Now, getting to and from the island is easy, with ferries running between Cape Jervis and Pennshaw, on the island’s east, several times a day. It might only be minutes from the mainland, but you’ll feel like you’re somewhere completely different. Amazing things happen here all year round, from wildflowers blooming in spring to little penguins nesting in autumn. The island has been likened to a ‘zoo without fences’, with native wildlife roaming around freely. For a unique experience visit Seal Bay, where you can take a guided walk among wild sea lions lazing in the sun. Kangaroo Island also has plenty of wildlife parks such as the Parndana Wildlife Park. While you’re here, be sure to take the kids to the Raptor Domain, a show about birds of prey and reptiles. One for the family. Kangaroo Island is home to Little Sahara, a heritage area comprised of sand dunes. The highest dune is about 70m above sea level, making it the ultimate sand-boarding experience. The Flinders Chase National Park is another major attraction where you can walk along dirt trails and camp under the stars. Here you can also view the Remarkable Rocks, a set of granite boulders shaped into stunning shapes by wind, sea spray and rain over millions of years. If you’re craving a day at the beach, Kangaroo Island’s north coast is a popular destination because of its calm, clear waters. Try your luck fishing on a jetty, bask in one of the many large rock pools or find a spot on the warm sand. It’s also possible to visit the beaches on the island’s south, although due to strong undertows, it is recommended that strong and experienced swimmers take a dip there. Kangaroo Island is also famous for its food and wine, with a well-established farm gate and cellar door trail ready for you to explore. Sample fine wines and tasty treats like honey, seafood and goods created with lavender. Speaking of seafood, be sure to drop by Fish of Penneshaw, a cafe that some say make the best fish and chips in the world! Make sure you try southern rock lobster, a rare crustacean that tastes amazing any way it’s cooked. Start planning your holiday with our Kangaroo Island accommodation. 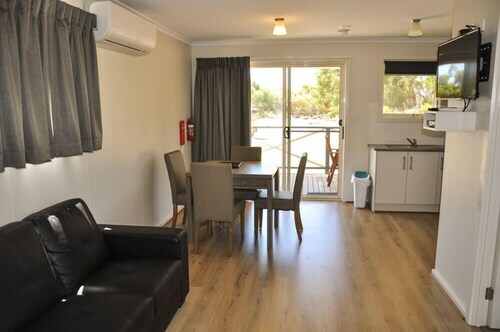 And if you’re looking to make a South Australian adventure out of it, check out our other South Australian accommodation options as well. Need insider tips on must-see attractions in Kangaroo Island? Check out our Kangaroo Island travel guide! 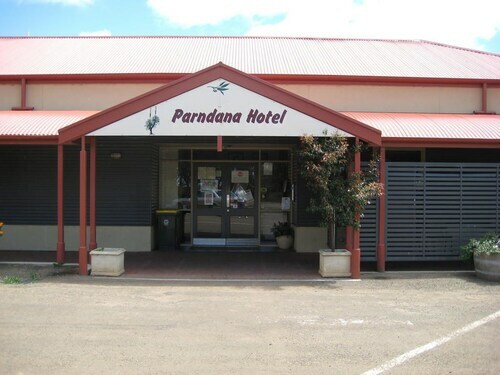 How Much is a Hotel Room in Kangaroo Island? 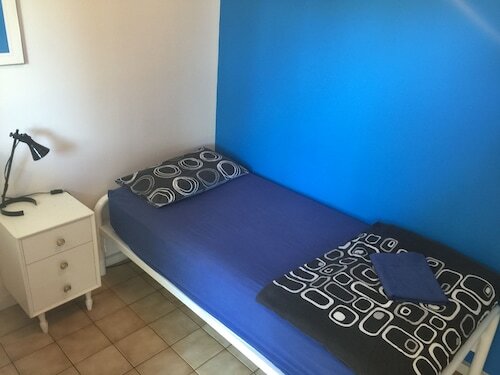 Hotels in Kangaroo Island start at AU$50 per night. Prices and availability subject to change. Additional terms may apply.